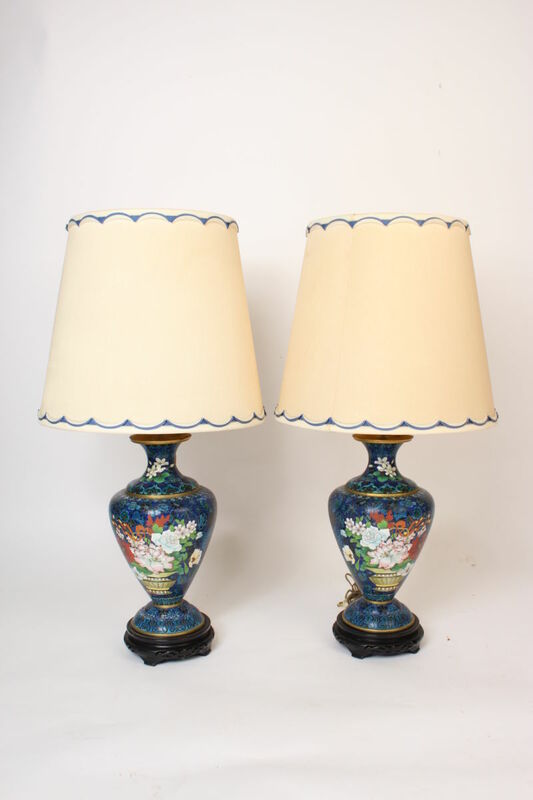 Pair of cloisonné lamps and shades, circa 1970. Height to top of shades 33.5″, height to beginning of electrical fittings 17.5″, diameter of bases 7.5″.These lamps have a Marbro Lamp Company sticker on them. Morris Markoff the owner of The Marbro Lamp Commpany made frequent trips to Europe and the Orient to purchase antique vases that were suitable to be made into lamps or to copy and make multiple lamps.